Hi Folks! Welcome to another fun Fusion Challenge! 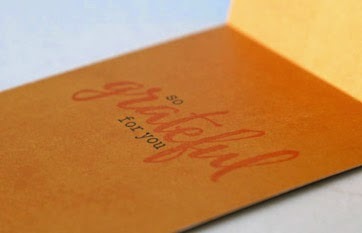 Love the buttery color in the inspiration photo, so this card has a ton of it. Plus a smiling marshmallow. Seriously, how can you not be happy with a smiling marshmallow?! It's from Cosmo Cricket S'more Love. 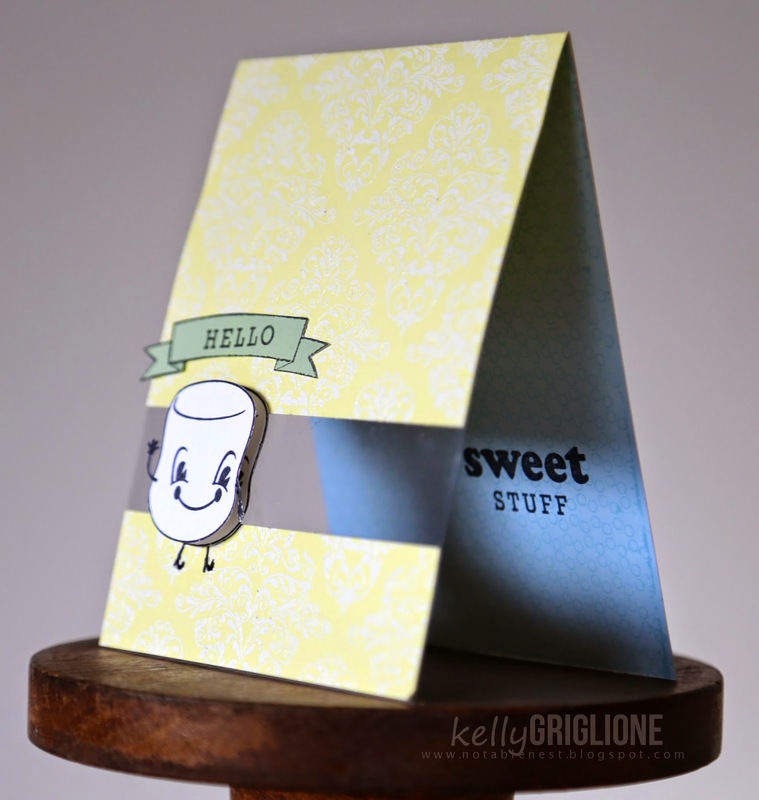 The marshmallow is popped out from the card with those tiny arms and fingers cut out (in hindsight I should have just stamped the arms on the bottom layer). I embossed the Amuse Haunted Mansion background stamp (from the Stamping Royalty prize package) in white, and then used green for the "hello" banner (a modified Fiskars stamp also from SR) and blue for the inside of the card. All three colors in the photo. The sketch shows a strip across the bottom of the card, so I played up that element and made it see-through with some leftover packaging. In order for the foam tape not to show from the back side, I cut out another marshmallow body to put on the bottom. Hello! 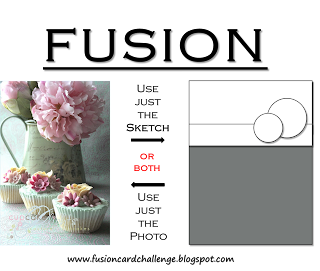 This CAS-ual Fridays Challenge is to choose a tic tac toe row (down, across, diagonal) and create something amazing using those prompts. 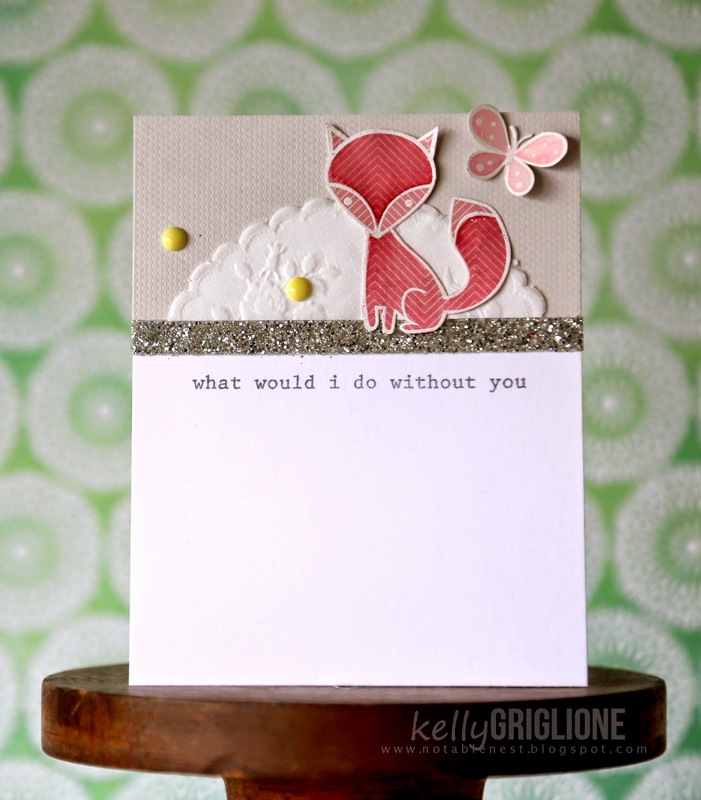 For this card I went with DOTS * GRAY * TWINE. For the grey paper with white polka dots, I used 12x12 Amy Tangerine Yes, Please with the yellow stripe edge still attached (super easy). 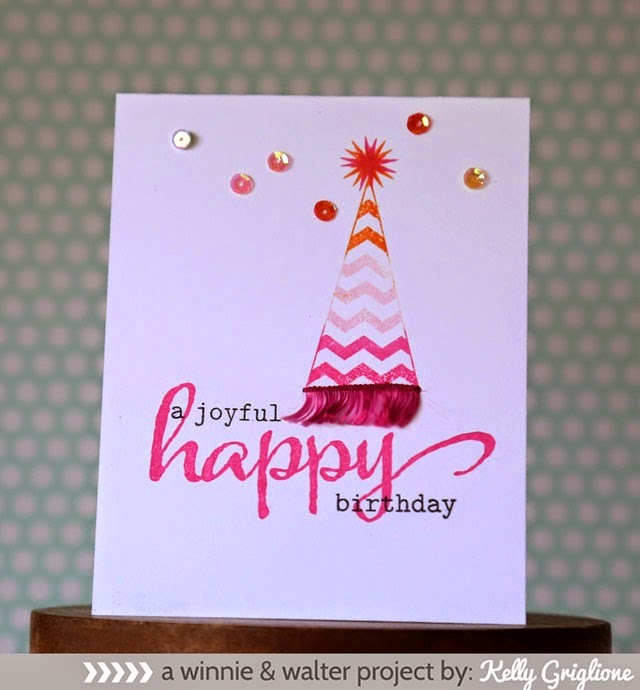 Some glitter hole punches, a foil die-cut and scored flower, and a sentiment from CAS-ual Fridays Calm and Gentle. I'm so glad "twine" was a prompt or I never would have thought of writing part of my sentiment with it. I sketched it out with pencil, ran some glue over it, and pushed the twine in. The dot over the "i" is a french knot. I sure hope you get a chance to play in this challenge, as this will be the last one for 2014. Michele's got some awesome new stamp sets coming out for CAS-ual Fridays and then she'll be working on more goodness for us all to have fun with. 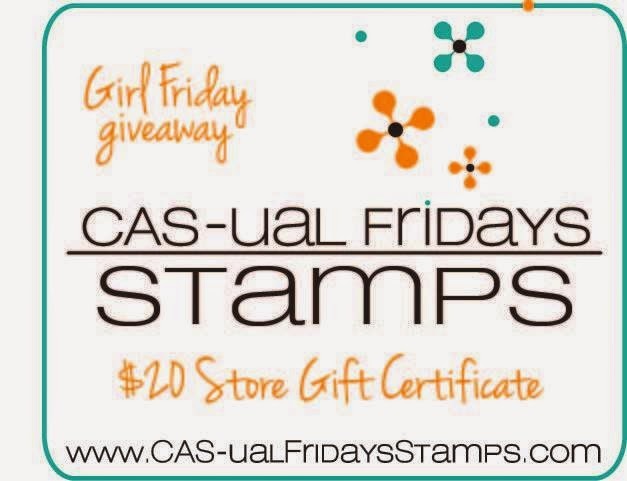 As an added bonus, Michele is offering a $20 CAS-ual Fridays gift certificate to one winner on each of the Girl Friday's blogs. You just need to leave a comment on our posts by Friday, August 22nd. The regular challenge winners AND all the comment-to-win winners will be announced on the CAS-ual Fridays blog on Monday, August 25th. Thanks SO MUCH for all the creativity, inspiration, and time you've shared with us in the challenge to-date. 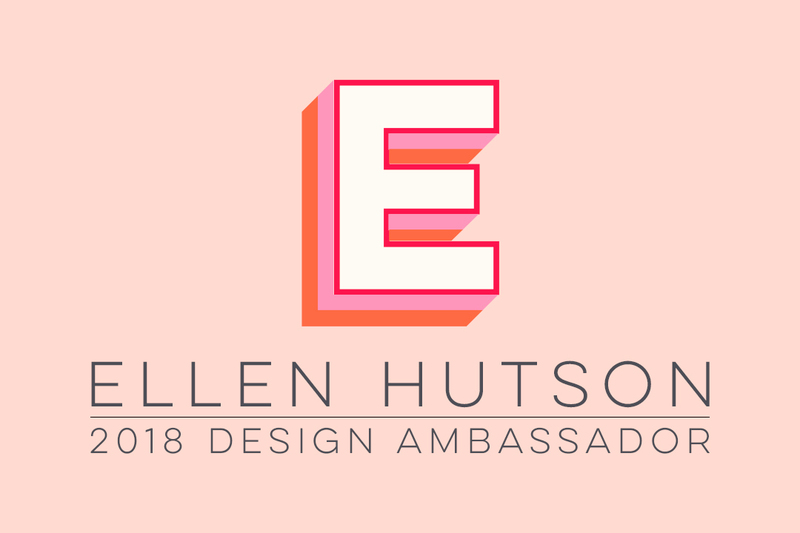 It's really been such a joy to see your projects, and always so painful to pick a few to feature. Hope to see you there!! Wow, it's the last day already for Winnie & Walter's fourth release. This set is probably my favorite, and one that will need to be pried out of my hands at some point ... V for cheVron. 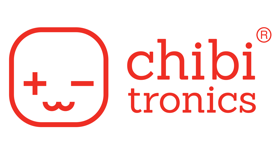 Such a cute name! 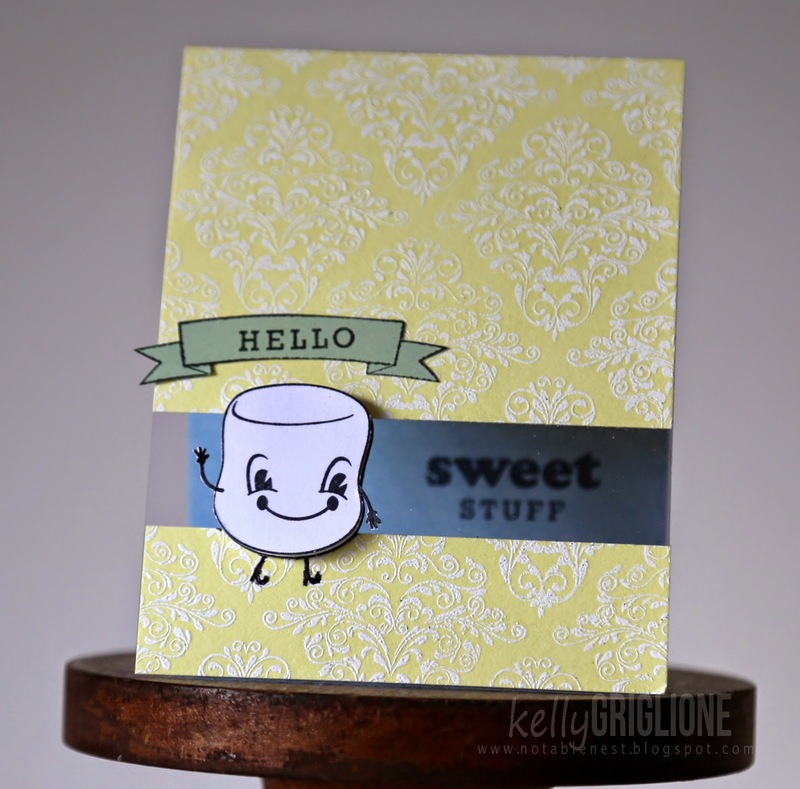 For this post I've stuck with the large chevron that you've already seen me use a couple times this week, but there are actually about ten other cute chevron stamps included in the set. One of those is an outline stamp for the large chevron. It's meant to be an actual outline (like how it is on the chevron under the sentiment). But if you offset the outline and stamp it between the chevrons, you end up with lines in the middle of the chevrons. It gives the design a little more weight, and I think in this instance, makes the card look a little more masculine. 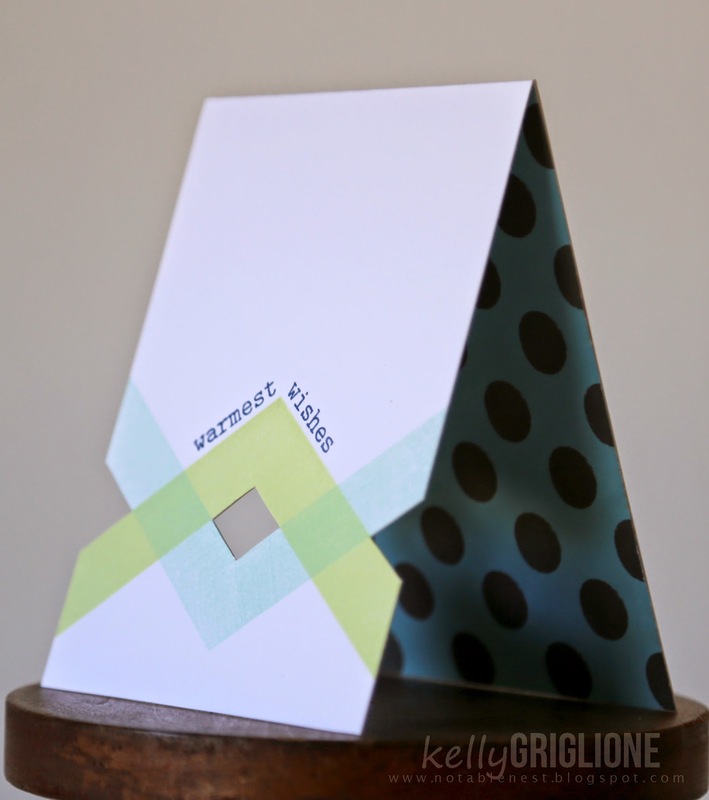 This card shows the large chevron tilted horizontally on one side. 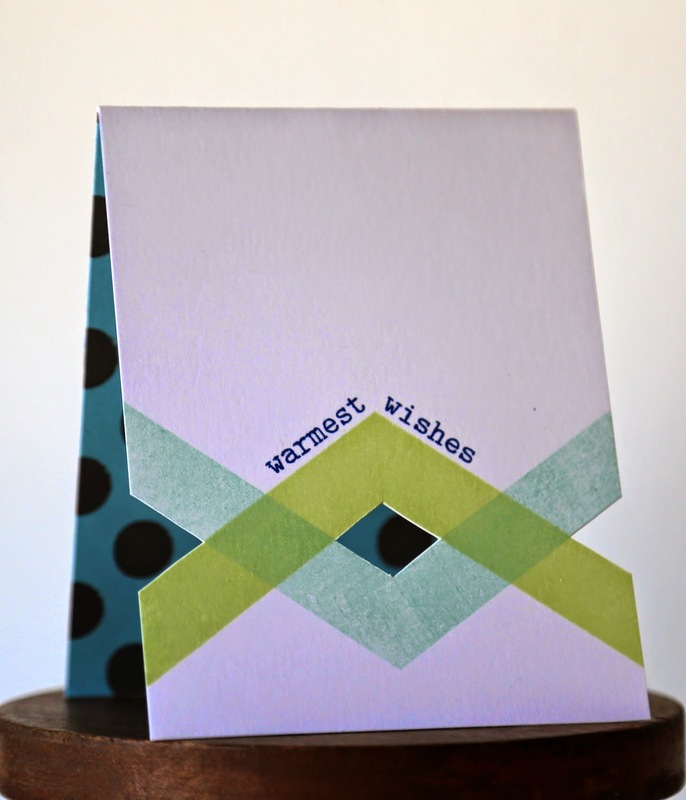 To extend the lines to the ends of the card, I stamped the sides of the chevron again. This leaves you with the subtle triangle shapes at the ends. The patterned paper is Studio Calico Sundrifter, and the sequins are a sweet gift from Winnie & Walter (thanks, guys!) The word "beautiful" can be found in the The Big, the Bold, and Seasons set from this release. 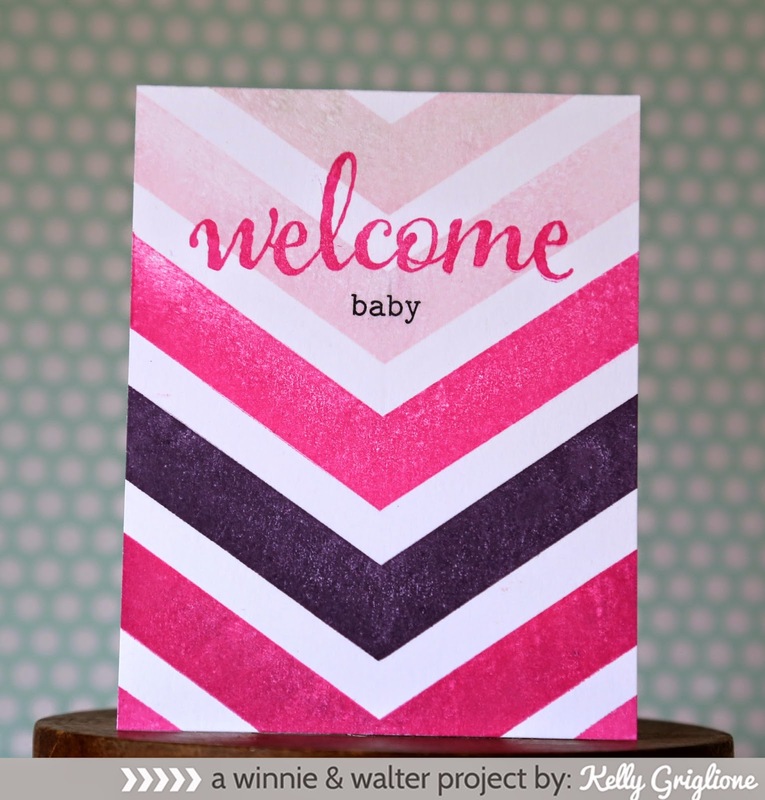 There are SO MANY ways to use this large chevron stamp. Another idea is to overlap them. I've just done it once here, but how neat would it be to do this multiple times, or use multiple colors? The words are from this release as well, and are generic enough to be used for birthday, graduation, moving, whatever you're sending warm wishes for. I used an exacto to cut the inside portion of the design out, so the background paper would show through. You could make a set of these so quickly, as the stamping takes minutes. 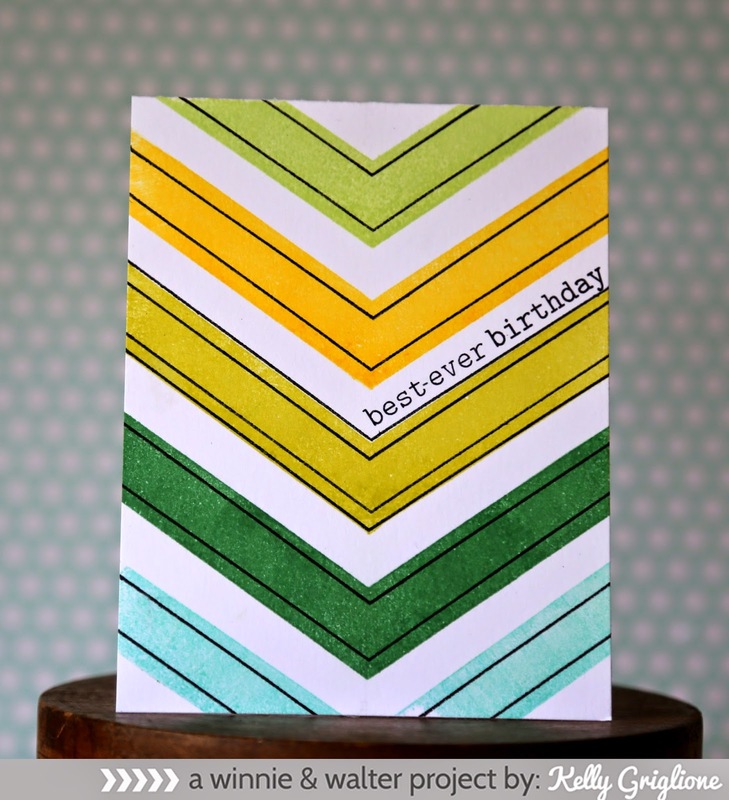 How fun to use different colored chevrons and patterned papers. 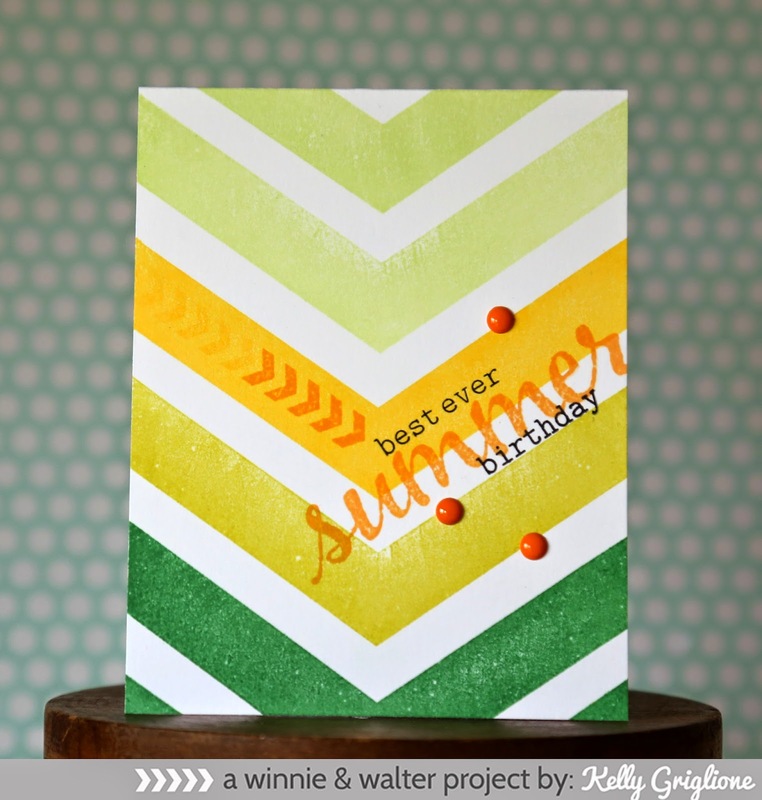 ALL FOUR of the stamp sets and coordinating cut files are up for grabs on the comment-to-win post (you've got until July 24th to be eligible). Then on July 25th, all the sets will be available on the Winnie & Walter site. so here's the rest of the card. It's got words from The Big, the Bold and Blessings, also in this release. They showed up on our doorstep a few weeks ago looking just like this. Mom, daughter and son made a German chocolate cake from scratch and they wanted to share it with us. Do you see the sweet apron? That's why I had to show you the photo. You just can't make this stuff up!! That's why they get the #bestfamilyever tag. Thanks for stopping by, and I will see you for the final post of the release tomorrow! Here's a criss-cross triangle that was just begging to be turned into an ice cream cone. I cut out a scoop of strawberry (patterned after a Papertrey ice cream die) and punched the cherry on top from heavy glitter paper. Luckily, the green part of the card looked bare when I was first done, so I stamped/embossed a few more of the triangles on either side. Heidi Swapp paper on top, AC glitter paper with MFT headiners alpha dies, gold thread and a tab punch complete the top portion. 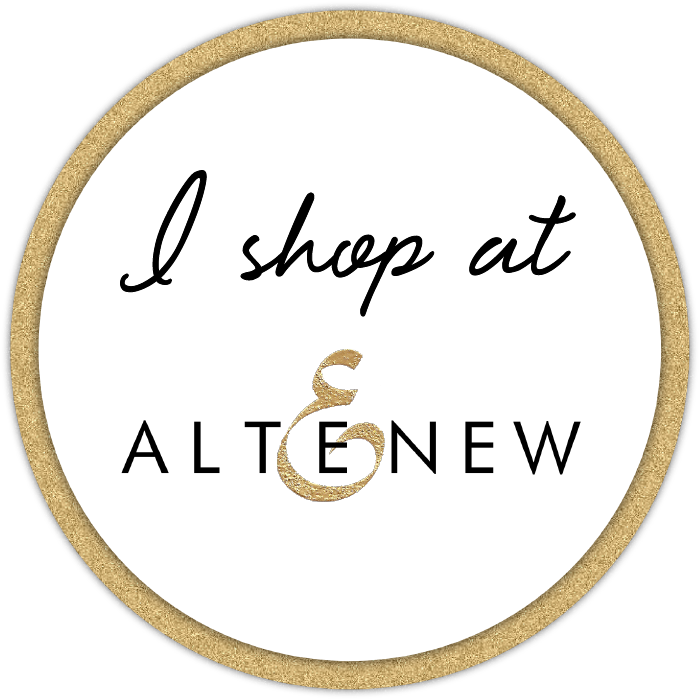 Don't forget to comment-to-win on the Altenew blog (you've got until July 24th to be eligible). On July 25th, all the sets will be available on the Winnie & Walter site! Thanks for stopping by, and I will see you tomorrow with yet another set! 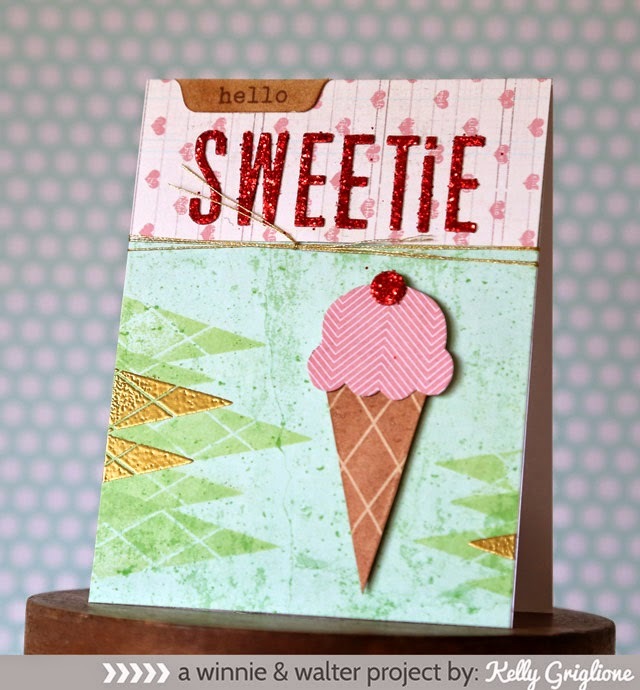 Thank you all so much for the sweet comments on the Altenew Blog Hop! Wasn't that an awesome hop, by the way?! And all the new stamp sets, holy smokes!! Here is the lucky winner of TWO STAMP SETS of your choosing. Ange, congrats! Please email me (griglion at ameritech dot net) with the two sets you would like and your address. We'll get you all set up! Last week my husband took my youngest son to Godzilla Fest (seriously, they are huge fans!) on the only day that we could go to the Taste of Chicago. So I just went with my oldest son and took along my new camera to try out. If you haven't been to the Taste before, it's a huge festival with local vendors where you can walk down the rows and sample a ton of different cuisines. Although, unlike when I was a kid, now the "tastes" are pretty expensive so you can't really get a ton. I always love going to the out-of-the-way places for photos. Unlike the entrance that most people come through north of Grant Park, this entrance faces Lake Michigan. ?!? As you may expect, not many people are coming from this direction. Even the Segway tour in the background wouldn't be able to get up the steps! Logan convinced me to take a skyline boat tour since it was just the two of us. Love the tiny patch of light over the Hancock tower. Buckingham Fountain lit up at night, with the remains of our Rainbow ice cream cones. Earlier in the week Logan had Survivor Camp where they put him in the middle of a forest and make him find his way back with a compass and other guides. At the end of the day, I announced that he's participating in Urban Survivor Camp, where he needs to find the way back to our car! We park at my husband's small parking lot at work, which is about 15-20 blocks away, so it's no easy feat. He is game. the Bean, the McDonald's we stopped at on the way there to fill up a little (like I said, those "tastes" aren't cheap! ), over the Chicago river, and through the Ogilvie train station. He was off on the last block, but he assured me he would have figured it out quickly. Awesome job, Logan! The building where my husband works is home to quite a gifted web-spinning spider. I squealed when I saw this shot! Hi Folks! 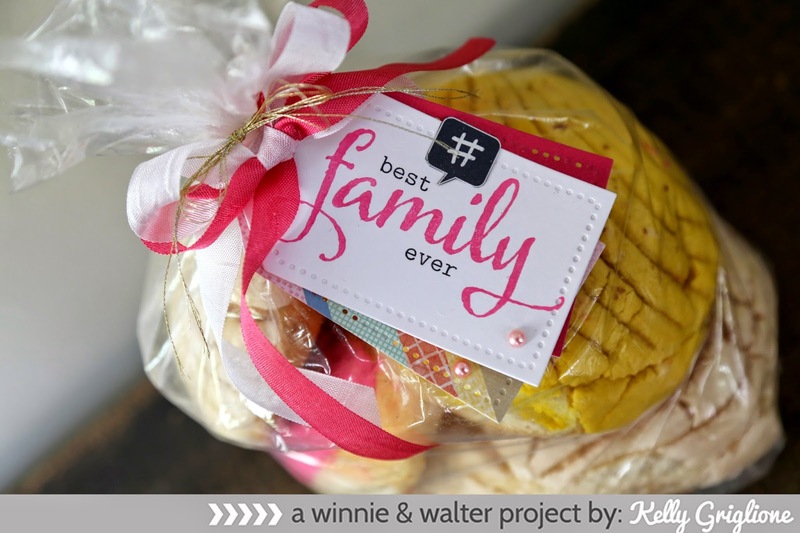 Welcome to the fourth release for Winnie &Walter! 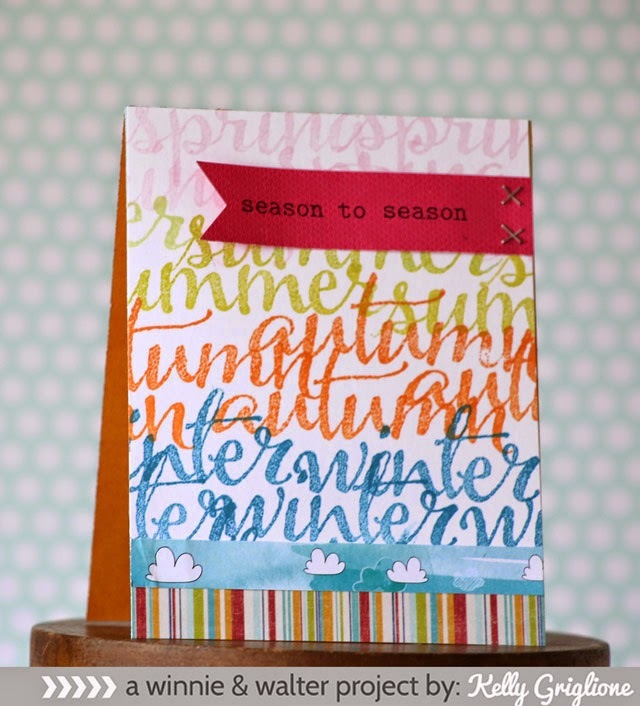 Wait until you see these four new sets, especially since two of them feature the super-trendy brushstroke words. The first set is called The Big, the Bold and Blessings and features four of the brushstroke words with so many little typeface words to match up with them. 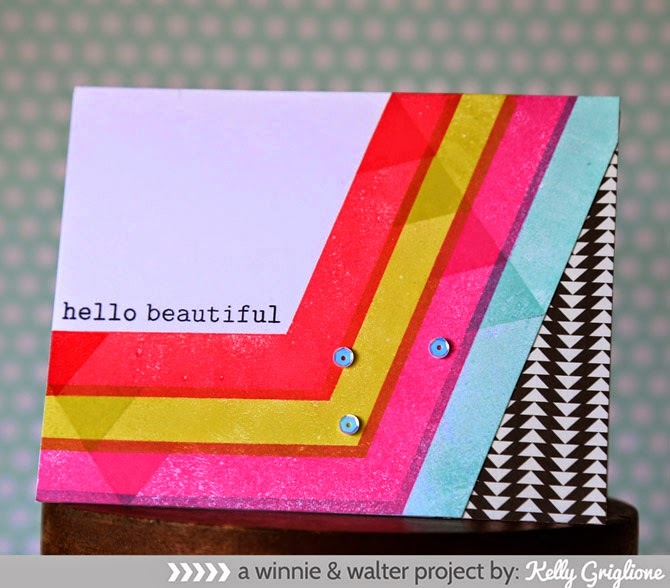 This card also features these crazy-oversized chevron stamps from another set that you'll see at the end of the week. 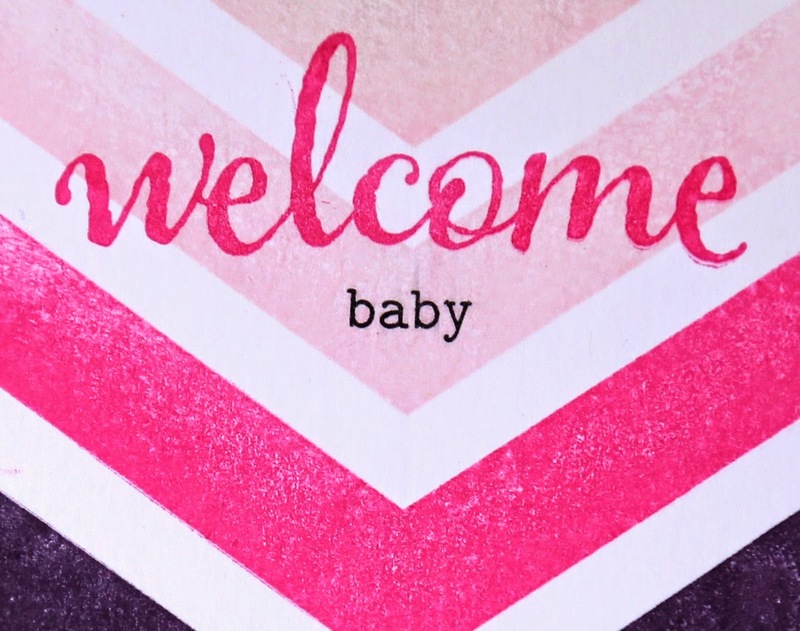 I was going to curve the "welcome" stamp on my block, but with the chevrons, there's a slight optical illusion that it's curved anyway. 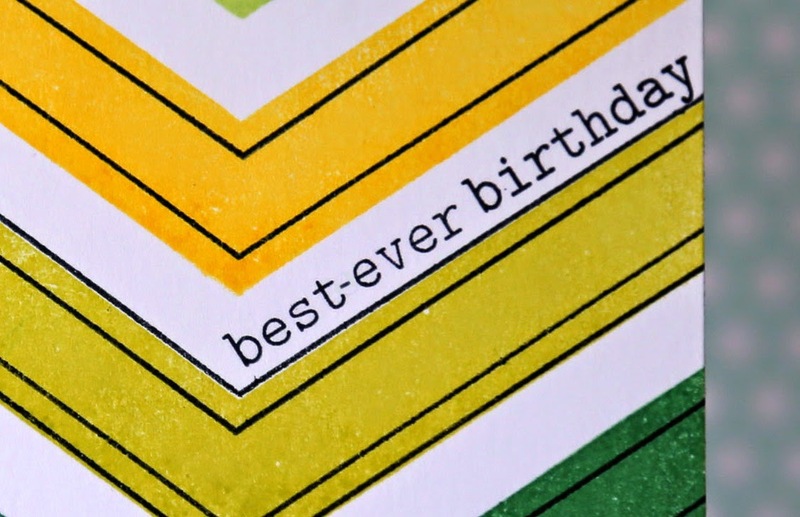 ALL FOUR of the stamp sets and coordinating cut files are up for grabs on the comment-to-win post (you've got until July 24th to be eligible). Then on July 25th, all the sets will be available on the Winnie & Walter site. Whoo-hoo!!! Thanks for stopping by, and I will see you tomorrow! Hi Folks! Welcome to another fun Fusion Challenge! 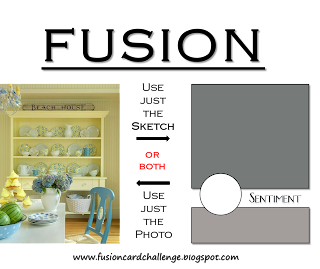 This card is a fusion of the photo (color scheme) and the sketch. To match the feel of the photo I white embossed the fox and butterfly, keeping everything light. The doily is actually from underneath my son's soup! He's so sweet, whenever we go to Biaggi's for their 1/2 and 1/2 lunch special he always lifts up his bowl of soup first thing and gives me the doily underneath to make something special. 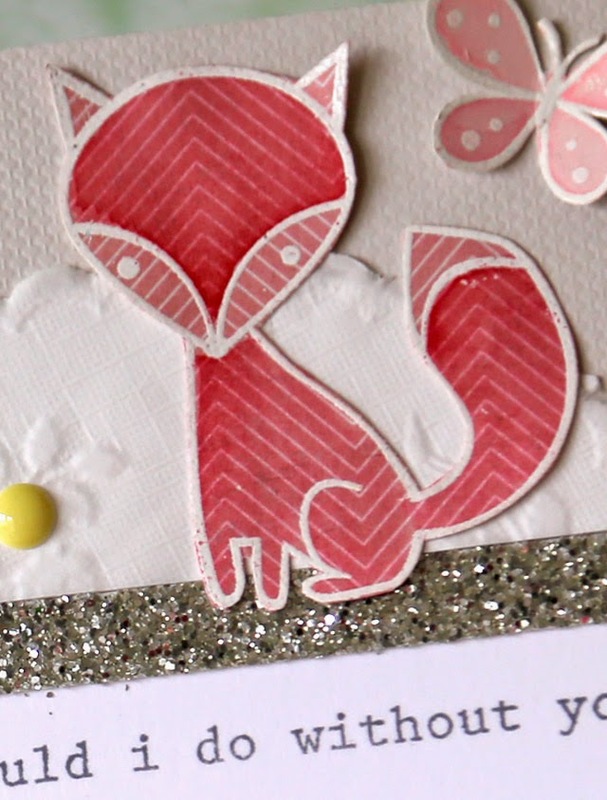 I was set to do some paper piecing of the fox, but then wasn't happy with the papers I was pairing together. So I watercolored over the patterned paper on the spots I would have pieced. To me it kinda looks like another shade of the same patterned paper. And bonus that all the lines match up! The fox ears and the butterfly wings are slightly bent upwards.